Welcome to The Mission Inn! In Cape May, the Bed & Breakfast capital of the world, there is one B&B that continues to stand out from the rest. The Mission Inn is truly a year-round destination and provides our guests with a casual, elegant California style and eight luxurious rooms to experience. Honored the past five years consecutively as a Top 25 TripAdvisor Travelers Choice Hotel Award Winner in the United States and the number one bed and breakfast in Cape May, NJ, The Mission Inn has become a coveted destination for travelers all over the world who seek a relaxing getaway just one block from the beach. The Mission Inn is proof that not everything in Cape May is Victorian. Be transported to California, to an earlier time, through the artwork, tile work, woodwork, artistic murals, exposed brickwork and wooden ceiling beams, vaulted ceiling and our lovely porch and veranda. The Mission Inn was built in 1912 by Nelson Z. Graves inspired by his turn of the century business trip to the Pacific Coast. The Mission Inn is a perfect example of California Spanish Mission architecture. Its stained glass window, Flemish gable and pergola veranda contribute to the warm feeling of this al fresco house. The Inn is located in Cape May's historic district and a contributing architectural style to Cape May's National Historic Landmark status. 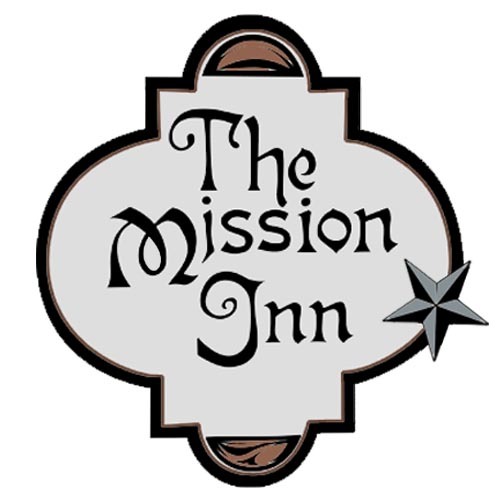 Share in an unforgettable experience spending time with us at the Mission Inn, located in beautiful Cape May, NJ. Click on "Book Now" to make your reservation today. And if you have any questions at all, don't hesitate to give us a call at 800-800-8380 to schedule your return visit or first time experience at the Mission Inn!